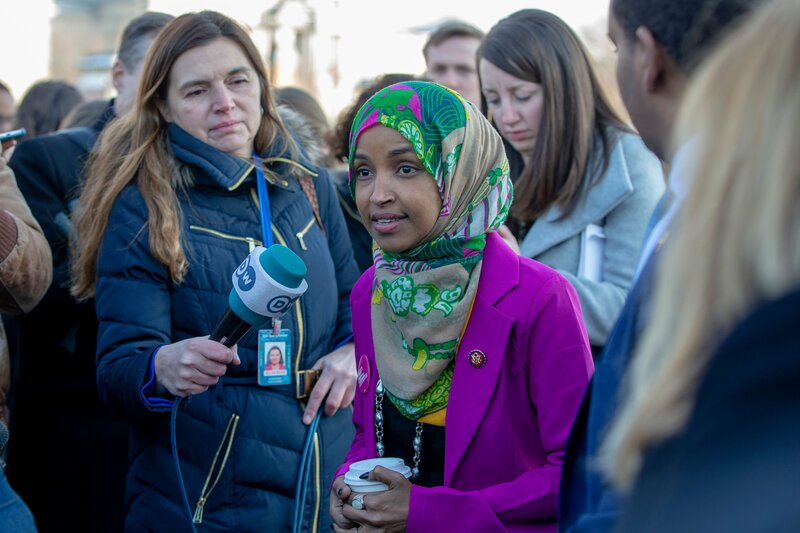 Democratic Minnesota Rep. Ilhan Omar retweeted a thread on Twitter Monday evening from an activist that supported the claim she made that pro-Israel lobbying group buy support for Israel, despite having apologized for that statement earlier in the day. Omar retweeted a thread from Democratic activist Ady Barkan, who described working on a 2006 longshot congressional campaign where the candidate agreed to take specific stances on two issues in exchange for a donation from AIPAC. but we were desperate for cash and so we put online a statement about how Vic supported a two-state peace agreement and AIPAC’s two pet issues of the cycle. It was definitely about the Benjamins. Never would have done it otherwise. AIPAC’s power is also about great organizing..
“We have a growing anti-semitism problem in America. @IlhanMN is not part of it. @lindasrsour is not part of it. They are allies of mine and of Jews across this country who are fighting for peace, racial justice, immigrants’ rights, and the defeat of fascism,” the next tweet reads. Barkan went on to condemn House Speaker Pelosi for denouncing Omar’s comments. “Anti-Semitism is real, and I am grateful for Jewish allies and colleagues who are educating me on the painful history of anti-Semitic tropes. My intention is never to offend my constituents or Jewish Americans as a whole,” her statement reads in part. Omar has been accused of pushing anti-Semitic sentiments in the past as well. She supports the Boycott, Divest, and Sanction (BDS) movement, has implied that Israel is not a democracy, and has previously accused Israel of “[hypnotizing] the world,” although she has since somewhat apologized for it.